Sometimes I treat life like some sort of cosmic baseball game. If I swing and miss three times, I’m out. For good. I fall for the lie that I only have a certain number of chances to get it right and get my act together. And if I don’t, then I’ll have to resign myself to being labeled a failure for all time. Thankfully, that’s not how life works and that’s not how God is. God isn’t some big, bulky umpire hiding behind a mask barking out balls and strikes. He's not sending us back to the dugout after a third strike. Here’s the fortunate truth: there is no limit to His compassion and no restraints when it comes His grace. 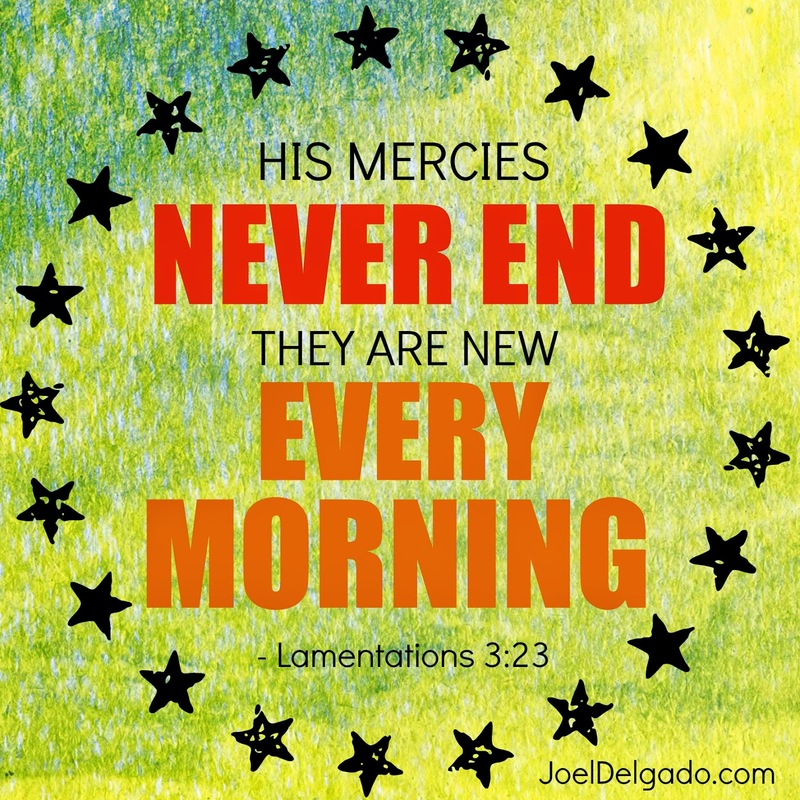 His mercies are new every morning and we don't need to clean ourselves up or check off a to-do list before receiving them. They are available right where we are. He freely gives us a second chance. And a third chance. And a six-hundred-and-twenty-third chance. The only time we’re really “out” is when we decide to stay down permanently. When the enemy is telling us to stay down after we fall, God offers His hand to help us get back on our feet and back in the game. Here’s the thing, though: we don’t always get a chance to choose the circumstances of our fresh start. That second chance might mean going to new place where no one knows your name. The third chance might require surrounding yourself with new people and establishing new routines. That six-hundred-and-twenty-third chance might mean staying right where you are, despite everything inside you wanting to get up and go anywhere else. But no matter what that new chance might look like and regardless of what mistakes we’ve made or how far off track we get or how lost we feel, there is one constant truth -- there is always a chance to start again.